I'm with you Paige, I love flatware! 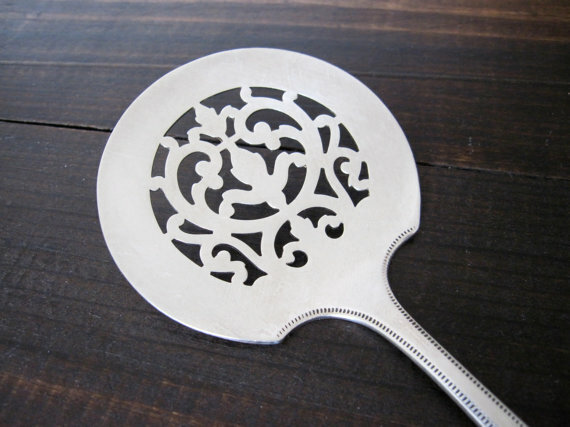 Several years ago I found a silver plate pattern that is similar to my sterling pattern and have enjoyed the hunt of collecting it as a fill in when I don't have enough sterling for entertaining. 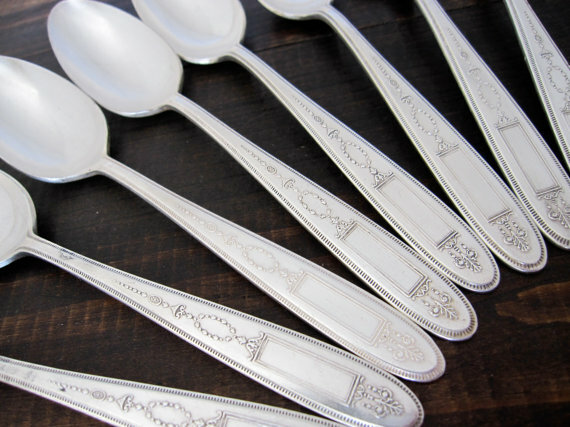 I have also collected flatware for each of my kids as they get married and I can report that my boys have loved it as much as the girls! 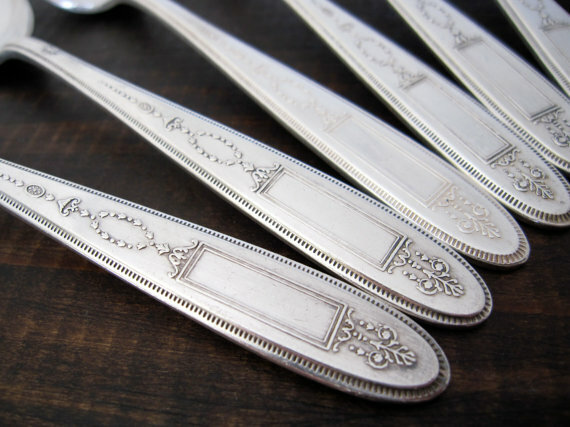 My son's mother in law recently commented to me that my son is "way into flatware more than most men!" You don't know how many times we have been in a restaurant and he has turned to me to ask "how's the weight of this fork, mom?" Because I don't like dinky flatware! I love Scotts!!! I personally don't mind the new pattern of silver plate I'm randomly collecting being already engraved. I notice that the last picture of your collection already has a B engraved. Can engravers somehow go over that and create a new monogram? Like I said - I don't mind it all already being engraved since it's an antique but wondered if that's possible to "erase" a previous monogram?? Oh and I'm with you on not knowing what pieces were! When my mother in law told me that my "new piece" was an asparagus server I was like WHAT?! Who spends that much money on a utensil that is just used for asparagus! Lol!!! Try Ross-Simmons in RI for the box. My mother purchased one for me when she gave me her silver when I married - almost 25 years ago. My niece, Katie, was at the shower and in my wedding as a flower girl. I have saved the photos from the shower and will give them to her - and the silver, too - at her wedding shower! My grandmother had Little Bit's silver as a young bride and I've always liked it too!